Another year of imbibing is in the books. Even with the goal raised to 200 unique beers consumed, many of you rose to the challenge and achieved frothy greatness. 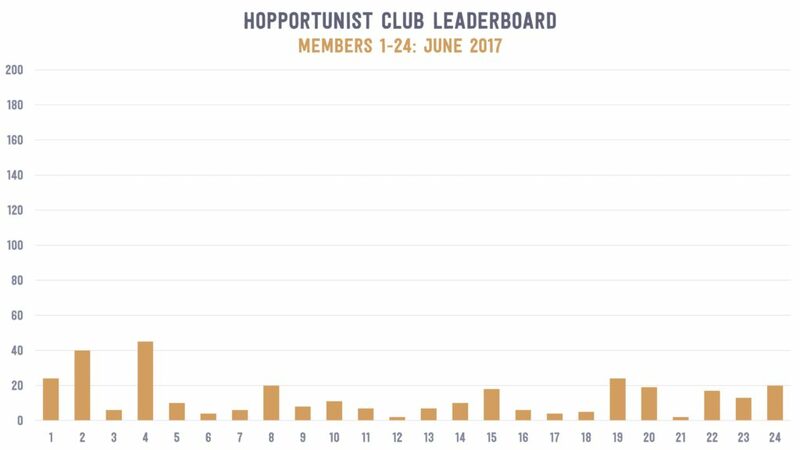 We had a grand total of 14 Hopportunists reach bicentenary status during the 2016-2017 drinking season. Cheers to you and your unwavering liver! 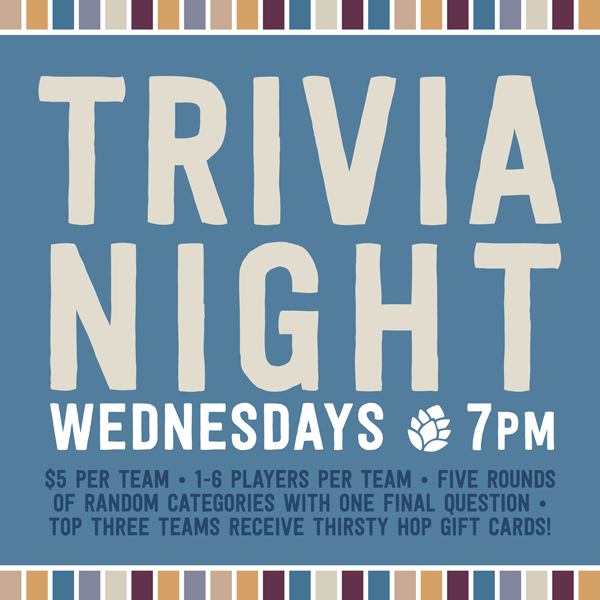 Check out the final leaderboard standings in the chart below. Thank you for your continued support and keep on drinking craft beer! The new Hopportunist year of liver busting has officially commenced. Welcome to all of our new and returning members! 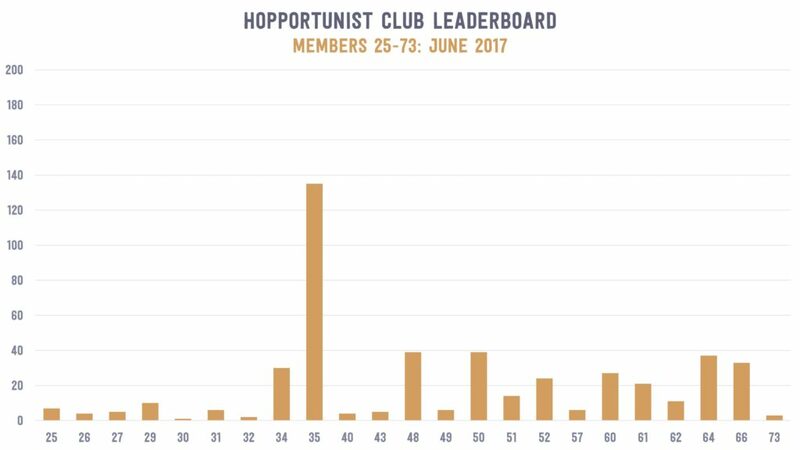 After one month of imbibing, member #35 is maintaining an unprecedented first place lead. Standing wobbly at 135 beers, #35 has consumed 100 more beers than the closest challenger. Check out the charts below for the full standings through June 30, 2017. 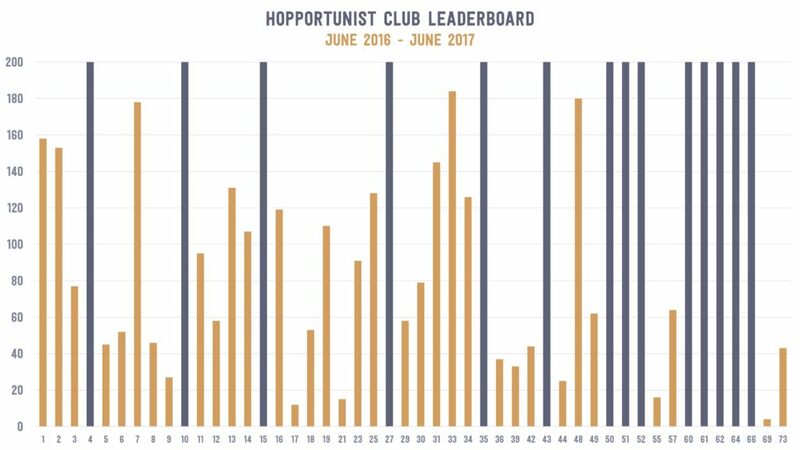 Junuary reared its ugly head and once again delayed summer in Seattle, but that did not stop our Hopportunists from drinking the citrusy, juicy, and fruity summertime offerings. 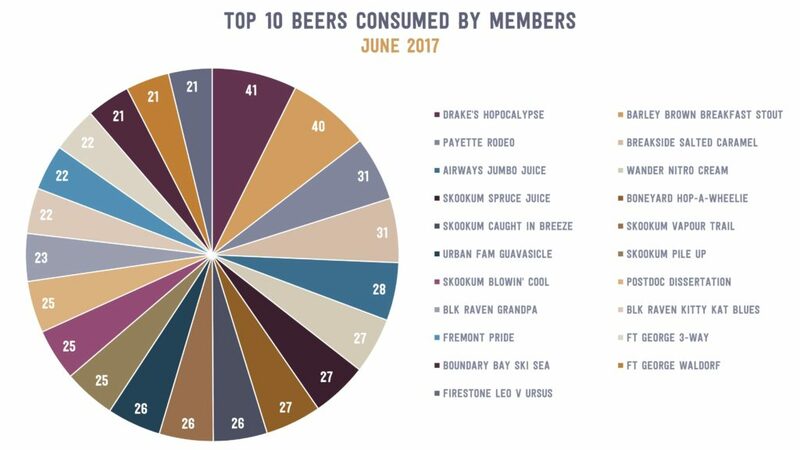 Drake’s Hopocalypse Blood Orange Double IPA narrowly beat out Payette’s Rodeo Citra Pale for the most popular beer consumed among members in June. Check out the pie chart below for the complete top 10.